When it comes to your audience, you don’t just want volume, you also want relevance. You want to reach the right customers that will get you quality conversions and boost your campaign performance. Serving personalized, more relevant ads to your audience through targeting means growth for you or your client’s business. And now on Bing Ads, the opportunities to target your customers just got even better. Introducing Improved Demographic Targeting. Global Increased Age and Gender Coverage. We have begun leveraging more demographic data from user’s search and display behavior to increase the age and gender coverage for Bing Ads on a global level. Now the coverage of targetable users has more than doubled, allowing you to get your message across to more customers that are relevant to you. This improvement in demographic targeting can lead to an increase in click-through rate and conversion rate for targetable users, thus potentially increasing the overall return on investment for all your campaigns. To take advantage of Improved Demographic Targeting, simply set up targeting rules under “Advanced targeting options” to determine when, to whom, and on what devices you want to show your ad. You can further adjust your bid for each age range and gender, which will enable your ad groups to automatically increase their keywords bids when specific genders or certain age groups are searching. This way, you can greatly improve the chance of your ads showing to the demographic groups you want. Increased global coverage for the age and gender demographic can both refine and improve your targeting strategy, but don’t forget there are plenty of other methods and strategies you can use to get your message across to customers. Whether you’re using an exclusive targeting strategy or incremental bidding to reach customers, you can also target by location, device and operating system, day of the week, and time of day. For more information on targeting, click here. 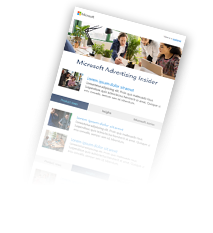 Whatever you choose, you can be sure that Bing Ads is committed to getting your message across to customers who are most relevant to you, delivering quality conversions and boosting your campaign performance. Stay tuned for more enhancements coming to remarketing in the near future. These targeting improvements are currently available to US customers and will be coming to all markets in the near future.